Following the recent shocking election of Donald Trump in the United States, our minds are spinning out of control of what to do. We cannot relocate our lives and run away from this. We can’t secede from the Union (or can we?) and we can’t just sit at home moping about so many of our countrymen showing their true colors. But we can start today on making the future better and brighter for progressive events that are yet to come. How? By voting with our dollars! 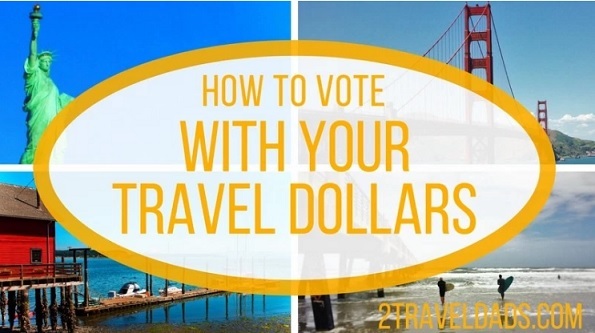 Our travel dollars, more specifically. Voting with your dollars is not a new concept, but it’s not something everybody thinks about.